Eleanor Dubinsky-Soft Spot Of My Heart. Release Date: ‘30th’ of March 2018. After years spent travelling and exploring different corners of the globe, jazz singer, songwriter and multi-instrumentalist Eleanor Dubinsky found herself living in New York where she had been part of the Big Apple’s contemporary dance scene for the past ten years. Dance and was something that Eleanor Dubinsky was passionate about, but music was her other love, and she spent much of her time writing songs. Songwriting allowed Eleanor Dubinsky to put her linguistic skills to good use as the multilingual songwriter wrote rhythmic songs in English, French and Spanish that were designed to engage with the listener. This was something that Eleanor Dubinsky enjoyed doing and she hoped resonated with people. That was certainly the case for Eleanor Dubinsky when she heard Lisbon-based singer-songwriter Sara Tavares sing in 2012. Having heard Sara Tavares sing Eleanor Dubinsky wanted to know about this singer-songwriter who had had such an effect upon her. Soon, Eleanor Dubinsky discovered that Sara Tavares’ family originally came from Cape Verde, and that was how she gravitated towards Lisbon’s vibrant Cape Verdean and Angolan music scene. This was something that Eleanor Dubinsky wanted to know more about, especially the Cape Verdean music scene. By using her connections within the artistic community, Eleanor Dubinsky was able to discover more about the Cape Verdean music scene. Soon, she was making the first of a number trips to Cape Verde, where after a while she got to know some of the musicians. This eventually included some of Cape Verde’s tope musicians, and later, some of the musicians that Sara Tavares regularly works with. Before long, Eleanor Dubinsky was collaborating with Rolando Semedo, Miroca Paris and Ivo Costa would eventually feature on her album Soft Spot Of My Heart. That was still some way down the road. After several years spent time collaborating, rehearsing, and recording in New York and Lisbon with Cape Verdean and American musicians who all feature on Soft Spot Of My Heart which Eleanor Dubinsky will release on the ‘30th’ of March 2018. Soft Spot Of My Heart is the latest chapter in a story that began in St. Louis. Eleanor Dubinsky grew up in St. Louis, Missouri, where she started to study classical cello at the age of three. By the time she was in high school, Eleanor Dubinsky was the vocalist in her high school jazz band and heavily involved in musical theatre and contemporary dance. However, it wasn’t just the arts that interested Eleanor Dubinsky. Apart from music, it soon became apparent when Eleanor Dubinsky was growing up that she was a talented linguist, who was fluent in French. She put her linguistic skills to good use during cultural exchanges and academic programs. However, like many people born and raised in St. Louis, Eleanor Dubinsky was also interested in civil rights and developed a sense of social justice. Just like music and language, this has been a constant during Eleanor Dubinsky life. Having graduated high school, later, Eleanor Dubinsky travelled to the Czech Republic where she spent time studying and learning the Czech language. This was the just the first of several spells spent living abroad. Eleanor Dubinsky explains: “I’ve always been able to absorb languages easily and to feel at home in the warmth of ‘foreign’ environments”. Having lived in the Czech Republic, Eleanor Dubinsky’s wanderlust continued as she spent time in Argentina and Mexico. After that, Eleanor Dubinsky made the journey to Cuba, where she learnt to speak Spanish, whilst studying dance and percussion. It was after that, that Eleanor Dubinsky made the decision to head home. On her return home, Eleanor Dubinsky didn’t return to her home city of St. Louis, and instead headed to New York, where she became part of the Big Apple’s contemporary dance. This played an important part in Eleanor Dubinsky’s life for the next ten years, as did music. During this period, Eleanor Dubinsky continued to hone her skills as a songwriter and was use her linguistic skills as she wrote rhythmic songs in English, French and Spanish which featured social comment and were designed to engage with listener. Some of these songs featured on Eleanor Dubinsky’s 2011 debut album Touch The Sky and her sophomore album Listen To The Music in 2012. However, it wasn’t just Eleanor Dubinsky’s songs that captivated the listener. One day in 2012, Eleanor Dubinsky heard Lisbon-based singer-songwriter Sara Tavares sing, which changed her life forevermore in 2012. This was a life-changing moment, and Eleanor Dubinsky decided she needed to know more about Sara Tavares and Lisbon’s vibrant and eclectic music scene. Especially the Cape Verdean and Angolan music that was happening within Lisbon. Eleanor Dubinsky used her many contacts within the artistic community to discover more about the Cape Verdean music scene and soon, she was making the first of a number trips to Lisbon and Cape Verde. Gradually, she got to know some of the local musicians. This eventually included some of Cape Verde’s top musicians, and later, some of the musicians that Sara Tavares regularly works with in Lisbon. 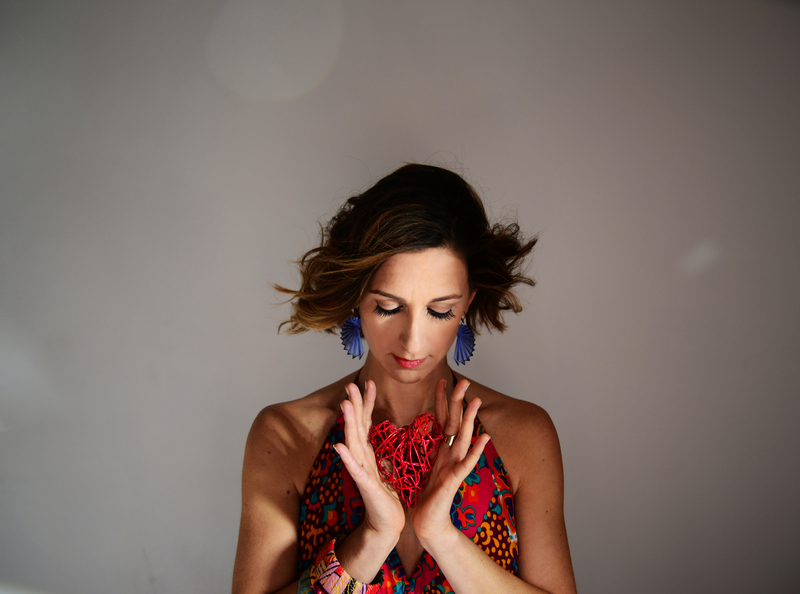 Before long, Eleanor Dubinsky was collaborating with Lisbon-based Rolando Semedo, Miroca Paris, and Ivo Costa who eventually featured on her album Soft Spot Of My Heart. This album was several years in the making, and was recorded in two continents. Over the next few of years, Eleanor Dubinsky spent time collaborating, rehearsing, and recording in New York and Lisbon with Cape Verdean and American musicians. They would all play their part in Eleanor Dubinsky’s third album Soft Spot Of My Heart. On Soft Spot Of My Heart, Eleanor Dubinsky addresses both the vulnerabilities and delicate moments that people face in relationships, and examines affection and attachment in her own way. She was a pupil of Tibetan Buddhist teacher Pema Chodron and has benefited from his: “awakened heart” approach. This allowed Eleanor Dubinsky to look at things from a different perspective. With her newfound philosophy and graceful, elegant melodies and the Lus-African sway that come courtesy of multitalented band that features musicians from New York, Lisbon and Cape Verde, Eleanor Dubinsky’s third album Soft Spot In My Heart features music that is cerebral, though-provoking, enchanting and has the capacity to captivate. That is the with the enchanting piano lead album opener Turn It Around which showcases Eleanor Dubinsky’s impassioned, jazz-tinged vocal as gospel-tinged harmonies and horns play an important part in a song that sets the bar high for the rest of Soft Spot Of My Heart. The title-track Soft Spot In My Heart features an understated arrangement and allows Eleanor Dubinsky’s vocal to take centre-stage. It’s akin to a confessional as she lays bare her soul on this beautiful ballad. Wind Won’t Knock It Down is another ballad which features an emotive vocal as the band provide the perfect backdrop and showcase their considerable skills. Initially, the arrangement to Wait For You arrangement is minimalist and allows Eleanor Dubinsky’s heartfelt and emotive vocal to take centre-stage. However, there’s also a sense of vulnerability and sadness as she sings: “my clock is ticking…I’ll wait for you, into the night” on this beautiful ballad. Free Again is another piano led song, where Eleanor Dubinsky’s vocal is filled with frustration and sadness as she sings of a relationship that is teetering on the brink. They no longer talk and are ready to go their separate ways. Having realised this, here’s almost a sense of relief as she sings: “got to be Free Again, guess I have no choice to walk away…I wanna be free again.” This jazz-tinged song is an emotional roller coaster that is rich in imagery and like a short play set to music. 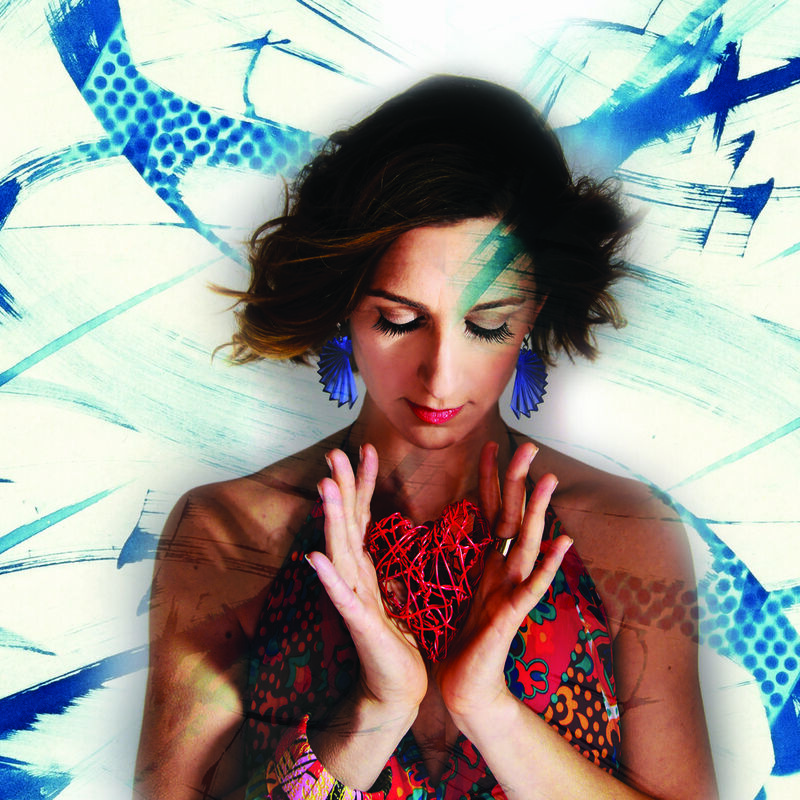 El Sabor de la Vida allows Eleanor Dubinsky to showcase her skills as a linguist as she delivers a vocals that is a mixture power, passion and emotion while percussion and washes of Hammond organ accompany her. Melodic and memorable describes Morning Song which is a bright, joyous and uplifting. Eleanor Dubinsky sounds like Rumer did on her debut album, and the song even hints at Bacharach and David. Very different is I Let Go, where the melancholy introduction sets the scene for a song where Eleanor Dubinsky’s vocal is a mixture of emotion and sadness but sometimes hopeful and needy. However, she realises that the only way “to grow” is to “let go.” Meanwhile, the carefully crafted contemporary arrangement provides the perfect backdrop for Eleanor Dubinsky’s latest soul-searching vocal. Cuando Voy a Mi Trabajo is a multilingual track where Eleanor Dubinsky draws on her own experience and the people she’s met during her life. She remembers in the song working beside migrants in service jobs who were homesick having left loved ones behind in their own country. This is the sacrifice they felt they had to make, which would allow them return home and build a better life for their loved ones. It’s a poignant and thought-provoking song. Closing Soft Spot Of My Heart is You Are Special You Are Beautiful which Eleanor Dubinsky wrote for those in America who have been left felling intimidated and marginalised since the election of the latest incumbent in the White House. This is a beautiful, and thought-provoking way to end the album. For anyone yet to discover Eleanor Dubinsky’s music, then Soft Spot Of My Heart which she will self-release on the ‘30th’ of March 2018 is the perfect introduction to this truly talented jazz singer, songwriter and multi-instrumentalist. She’s spent a lifetime honing her skills and comes of age on Soft Spot Of My Heart. Quite simply, Soft Spot Of My Heart is a cerebral, though-provoking and enchanting album that has the capacity to captivate. It is full of melodic and memorable music which Eleanor Dubinsky delivers against a series of carefully crafted and polished arrangements. They’ve been honed to suit each song, including the beautiful ballads, which is Eleanor Dubinsky’s speciality on Soft Spot Of My Heart. Elsewhere, the hooks haven’t been spared on the uptempo Morning Song which has a radio friendly songs. Other tracks like Cuando Voy a Mi Trabajo and the album closer You Are Special You Are Beautiful are poignant, powerful and thought-provoking. Soft Spot Of My Heart is a genre-melting album from Eleanor Dubinsky who with the help of her talented band add a Lus-African sway. Meanwhile, Eleanor Dubinsky combines jazz and pop sensibilities with elements of Brazilian and Latin music. It’s a potent and heady brew as singer and storyteller extraordinaire Eleanor Dubinsky puts her sultry, soulful and jazz-tinged vocals to good use on her career-defining album Soft Spot Of My Heart. ← ERIC ANDERSEN-BE TRUE TO YOU AND SWEET SURPRISE.